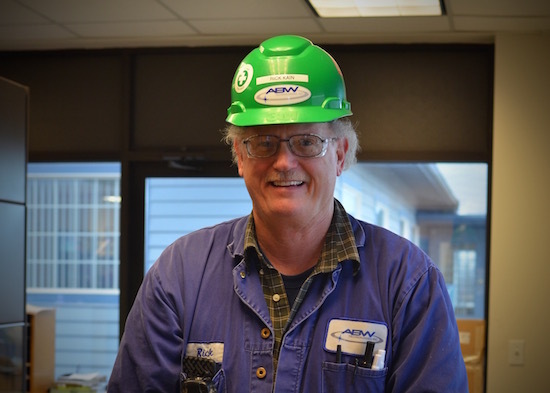 Employee Spotlight: Rick Kain — ABW Technologies, Inc.
What city/town did you grow up in? It seems like every day is a new adventure. We have created so many projects over the years. I like to see the material, watch the project come to finished product, and then assist in shipping it out to the various customers that we work with. Do you have a favorite book, movie and/or TV show? "CaddyShack" and "Animal House" are my all time favorite movies. They were classics and I still use quotes from both of them. At this point in my life, I tend to watch a lot of sports (golf, football, etc. ) but enjoy crime shows like "Criminal Minds," "NCIS, Seal Team," "SWAT," "Hawaii Five O," "Blue Bloods" and "MacGyver." What music do you like? Any favorite bands or musicians? I like all music except classical, rap or hip-hop. My favorite is Southern Rock with Classic Rock a close second. Lynyrd Skynyrd, 38 Special, and Molly Hatchet have been my all-time favorites. As I have aged, I enjoy listening to the Garth channel which has quite a variety of music. Do you have a favorite sport? Do you support a particular sports team? My favorite sport to play is golf. I support the Seahawks, the Mariners and the Sounders. (I miss the Sonics). I am kind of a local team fan you could say. Hopefully the coaching will improve and we can get back to the Superbowl. doing household chores, cooking dinner or trying to get in a round of golf. loving wife. We have been together for 36 years and she actually saved my life this past year when I collapsed from a massive heart attack. She is the love of my life. I once took a bus load of head-injured young men to a Mariners game. By the time we got home, many didn't remember that we'd been there, but they all had a great time. chocolate (I know, "boring," as my wife says when we go to Baskin Robbins). go back and buy my brother’s 1966 Chevelle Super Sport that would be worth a mint now. 1966 Dodge Dart (yea, I am old). We're proud to have such a talented, hardworking team. Find out more about working at ABW.